If you are a PC enthusiast or gamer who has been putting off a GPU upgrade due to current market pricing we might have some good news for you. On the other hand, if you are an AMD investor, the news doesn't look so good over the near term. What is this all about? Well, Susquehanna analyst, Christopher Rolland, has just downgraded AMD to negative from neutral. AMD stock is currently at $10.44 but Rolland has posted a $7.50 price target. The reason is that Bitmain is about to release a powerful Ethereum ASIC Miner. The analyst likens the arrival of the Bitmain Ethereum ASIC Miner to the arrival of the steam shovel, a large steam-powered excavating machine which revolutionised mining and excavating. Obviously a common-or-garden GPU miner is thus likened to a gold prospector relying on his trusty spade and a can of spinach. Five-star ranked analyst Rolland estimates that approx "20 per cent of AMD's sales are Ethereum related". So the confirmed existence of a new Bitmain Ethereum ASIC may have a big impact upon AMD GPU demand. Previous Bitmain ASIC devices have targeted BitcoinCash, LiteCoin, currencies based upon the CryptoNight hashing algorithm, and currencies absed upon the hashing algorithm Blake(2b). Some Bitmain Ethereum ASIC machine details were shared. The device packs in "three motherboards and each of them will be packed with six ASICs along with 32 x 1GB DDR3 memory chips." 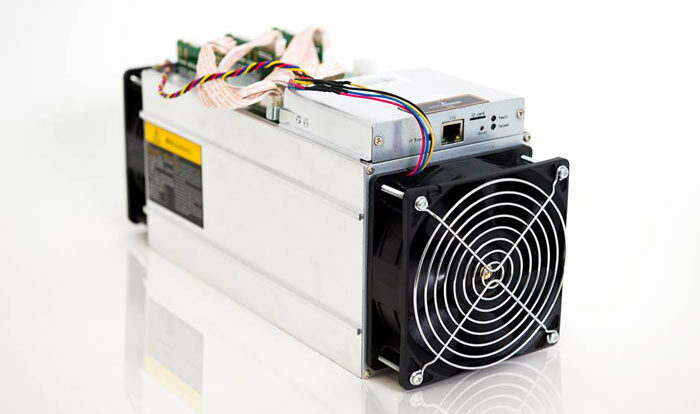 Rollout of this new hardware from Bitmain is excepted during H2. Meanwhile, applying further pressure on GPU-based ETH miners, the price of ETH looks like it is continuing along the classic bubble trend line. 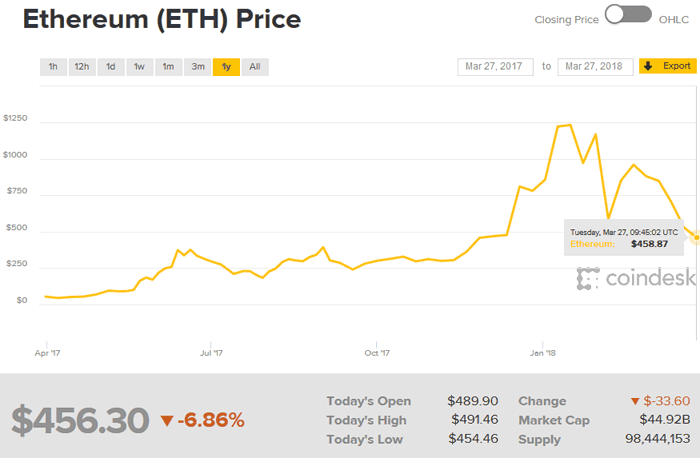 A year ago 1ETH was worth $52, it peaked at around $1,230 in January and has since dropped in value considerably, continuing its downtrend 6.7 per cent lower today to $458. I thought i read that Ethereum was meant to reduce the efficiency of using ASIC and in turn prevent mining being a rich mans sport. Pretty sure AMD's shares are mostly driven by their CPU business. Sure, I'd expect GPU demand to drop when miners ditch GPUs again, but given how tepid the response to VEGA was I would be surprised if their shares dipped as much as predicted here. Also, won't this probable drop in GPU demand affect NVidia more? A GPU *is* an ASIC. Making mining dependant on speed of ASIC memory to try and keep GPUs relevant always struck me as odd. I mean,how do you make stuff more accessible to the masses by making it more resource heavy and hence more expensive? It does make sense for people who have invested in GPU farms who want to keep them running, so I presume they will try and talk up some new currency that is still GPU only. Edit: Given the downwards trend in Bitcoin price dragging all other currencies with it this all seems rather academic anyway.